The problem with Donald Trump’s “fire and fury” statement on North Korea isn’t merely that it intensifies an already tense situation. Nor is it just another example of Trump’s inappropriate, childish language when faced with a complex issue. Most worrisome is that he seems to have no grasp of how his remarks might play out in real-world international politics. Trying to one-up the North Koreans with threats may give Trump the false sense that he is besting them, since he believes—as always, from his business experience—threats work. But he has no awareness of how threats are received in Pyongyang, not to mention in Seoul, Tokyo, Beijing, and other capitals. Trump’s language does nothing to move the nuclear issue toward dialogue, but does much to further envenom relations with North Korea and to support the widespread view elsewhere that the president of the US is unstable and prone to violent actions. In the past Trump has said of North Korea that attacking it sooner rather than later is the best way to resolve the nuclear issue. Bill Clinton disproved that in 1994 by rejecting an attack on North Korea’s nuclear facility at Yongbyon and instead entering into an Agreed Framework with Pyongyang that prevented war. Does Trump still hold to that view? Numerous specialists, and Trump’s own defense department leadership, have concluded that war would be catastrophic, with immediate 1 million deaths and economic costs of around $1 trillion. Needless to say, Koreans north and south, Japanese, and Chinese would pay the heaviest price for such madness. But Trump, with his well-known ignorance about nuclear weapons, seems blissfully unaware of such matters. He would rather talk about “fake news,” attack critics, lie about his accomplishments, and keep pushing a domestic agenda that has gotten nowhere. Nuclear weapons, Korean history, North Korean motivations, and the art of diplomacy are outside his area of interest, and to say he is not a fast study is to be overly polite. Secretary of State Rex Tillerson responded to questions about Trump’s latest threat by saying “Americans should sleep well at night,” dismissing the threat as “rhetoric.” Given the drumbeat of war that the media has engaged in over North Korea’s missiles, I doubt that many Americans are sleeping well. 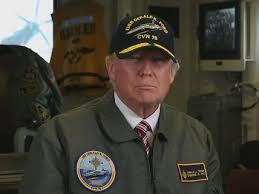 I doubt that US military leaders in particular are sleeping well; they have an inexperienced, unpredictable commander-in-chief who just might issue an order to attack North Korea. And most assuredly South Koreans and Japanese are not sleeping well. Warlike rhetoric from the US president can never be dismissed. In a word, President Trump is a loose cannon, a serious threat to national and international security. There’s a very thorough analysis, in the July/August issue of The Atlantic, of the options for dealing with N Korea and the likely consequences of each. By Mark Bowden. Ugh — he is a wild animal â maybe two wild animals with nuclear weaponsâ¦. Accidents and miscalculation are feared especially of T raises on nuclear strike readiness and that leaks outâ¦.. Here, Trump’s evangelical followers cite biblical authority–no, actually, a most holy injunction– to envenomate his equally bizarre, coiffmatic adversary in Pyongyang. The only ones sleeping well at this point are in a coma. Scary, scary stuff. Plus I learned a new word: envenom. I like it. respected ex-generals, any or all of which might put national interest before obedience. I am, but I live inland near the East Coast. Americans in Guam, however, are probably losing sleep. 4. Trump is a serious threat to national and international security. Yes, but not only because of playing chicken with Kim Jong Un. In the long term, his denial of climate change—described by a number of retired generals as a “threat multiplier”– may be just as serious. reacting to his daily tweets and simplistic statements. I have to differ on those generals, both former and current. I don’t think they would disobey; they’re wired to carry out orders, even illegal ones (see George W.’s order for a preventive war in Iraq).